Dan Wood’s first book, ‘Suicide Machine’, was published in 2016 by Another Place Press. 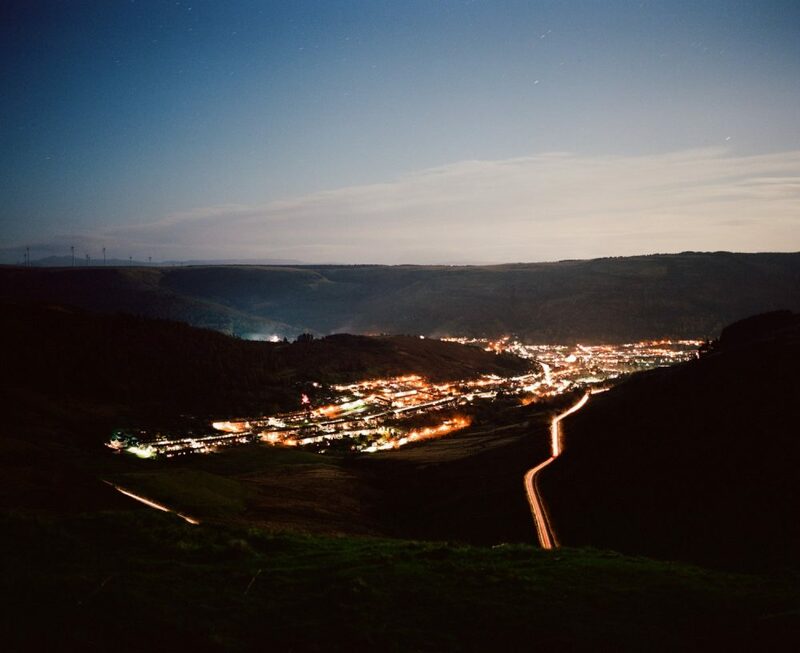 The project documented his hometown of Bridgend, Wales where he captured portraits and landscapes of the people and places he knew very well. 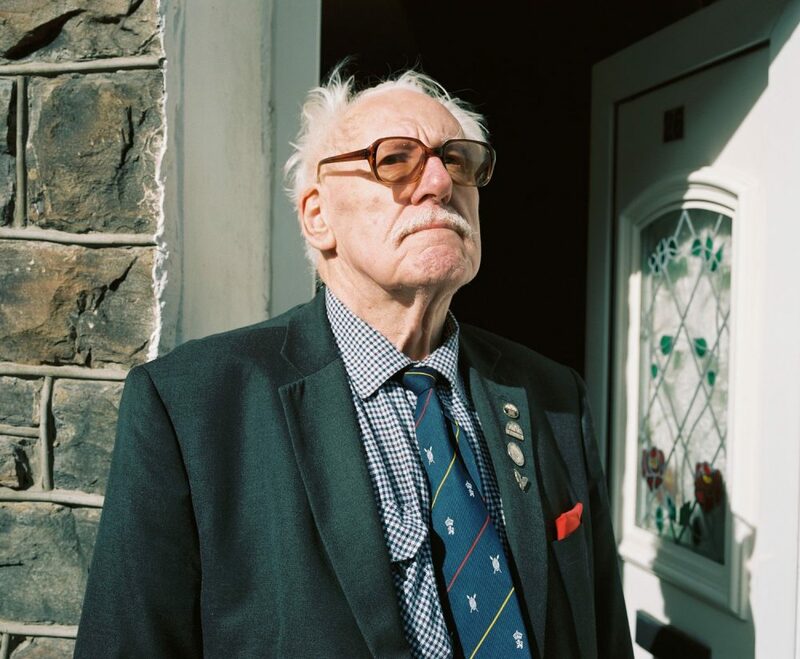 ‘Suicide Machine’ asked the big question of what his community meant to himself, and to his wife and child, when so many residents seemed to struggle with the idea of either leaving for greener pastures, or staying in Bridgend in a tough economy. 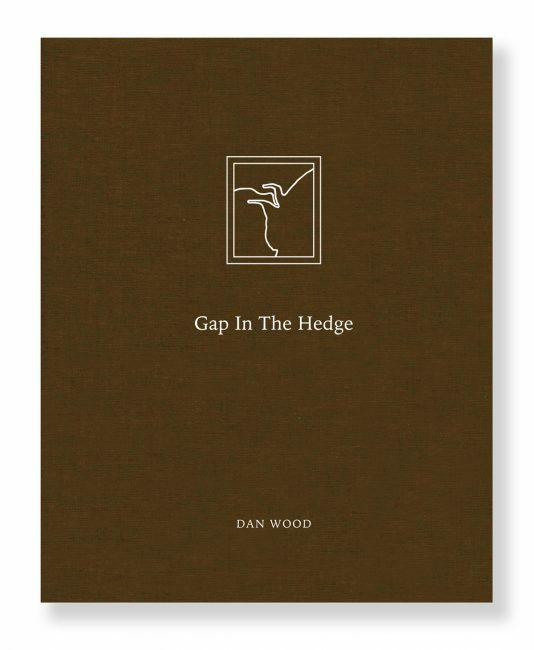 ‘Gap in the Hedge’ is Wood’s second published title with APP, and it marks the publisher’s first hard-cover title to hit the press. Wood makes strong environmental portraits, and captures landscapes in a way that demonstrates the images were taken by someone who has critically and lovingly looked at his surroundings. ‘Gap in the Hedge’ is different from ‘Suicide Machine’ thematically. ‘Gap’ hit the road and looked elsewhere. It is a mix of wanderlust, exploration, observation – and ultimately a journey of self discovery. Wood’s images are observational without being something that just skims the surface. There is an intense amount of consideration given to what is inside the frame. Wood artfully shows the viewer scenes that feature structures both man-made and natural, as well as people who are posing for a portrait and captured in situ. 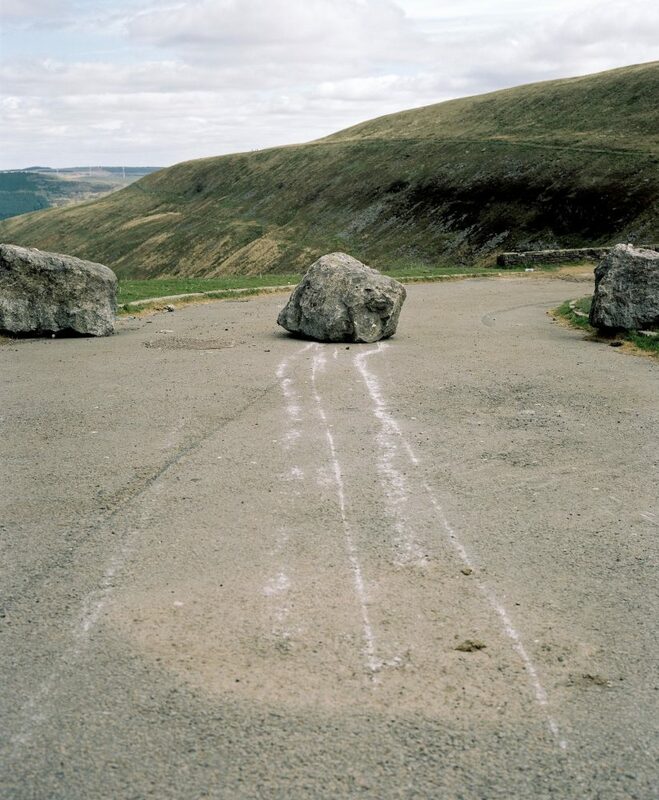 We also see graffiti citing scripture that relates to power and authority, in another image our eye is drawn along a single lane road through a beautiful vast landscape of hills and valleys. 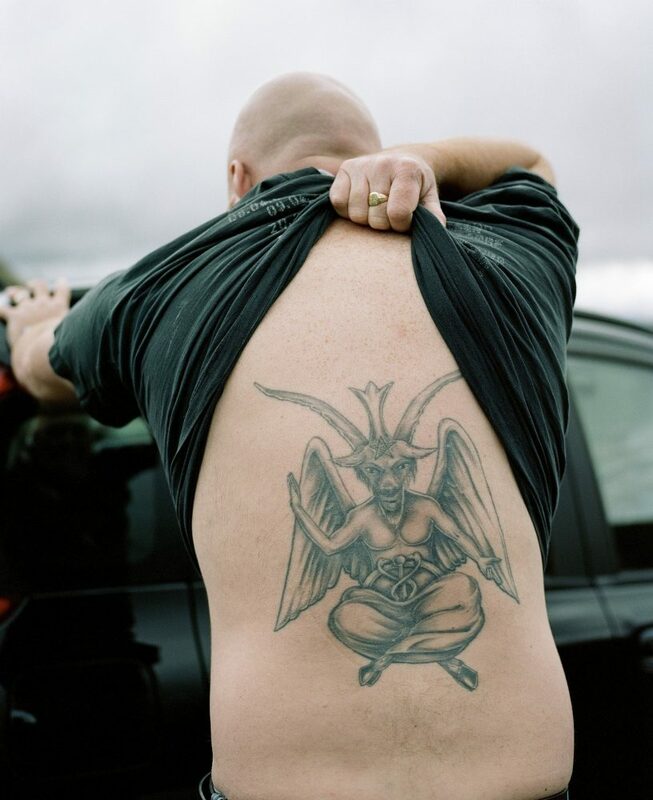 People of all ages appear in his informal portraits; driving cars, posing with a large model airplane, or showing off their tattoos. 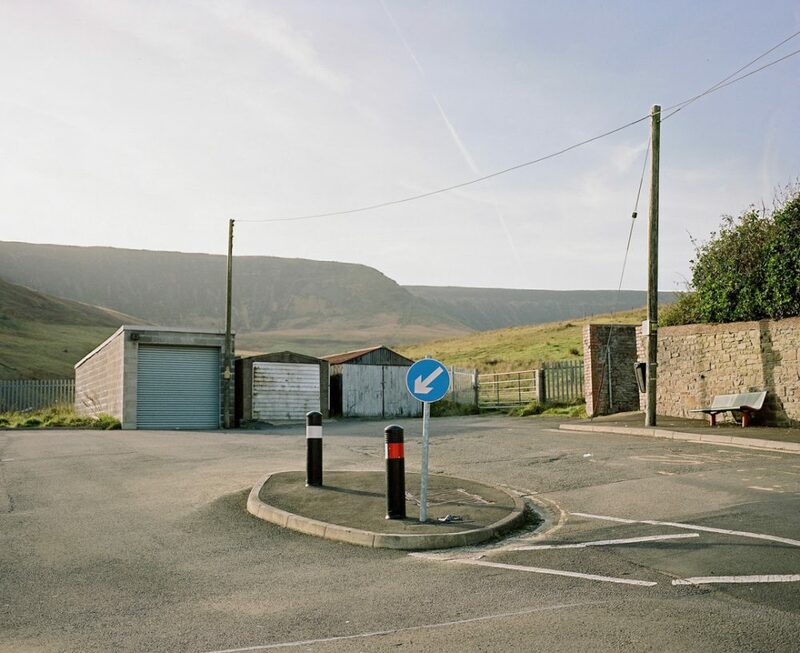 His project and book not only attempt to document the beauty of this iconic piece of South Wales landscape, but also explore the relationship people there have with the landscape and environment. And the freshness and spontaneity of the work is due in large part to the nature of the project being based on what or who happened to be along this route. I remember looking out the car window and marveling at scenery when taking trips with my parents when I was young. 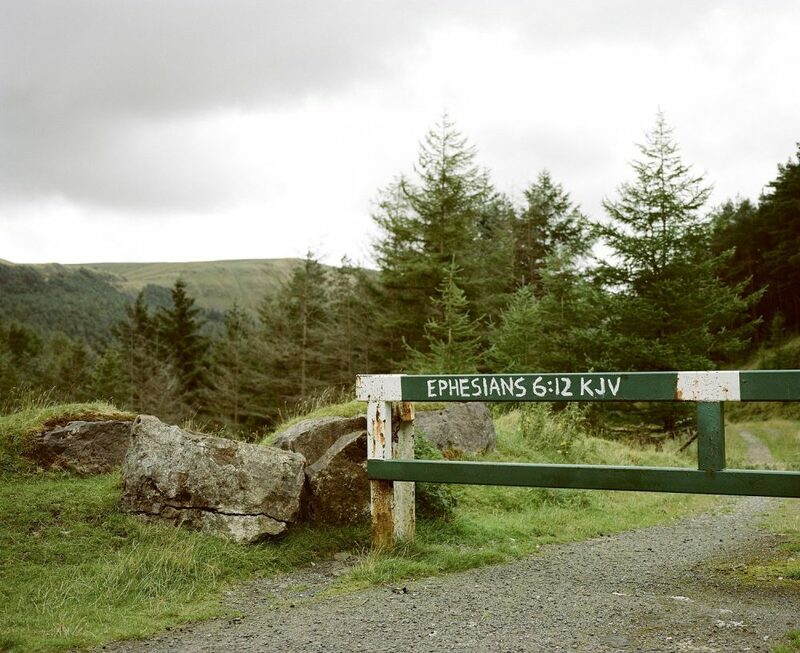 Wood captures that sense of youthful wonder of the beauty in this part of Wales. Likewise, Wood looks into his own past, and compares it with his present world. Perhaps he will find a common bond between the two, or discover something new in the strangers and unfamiliar places that link his past and present selves. 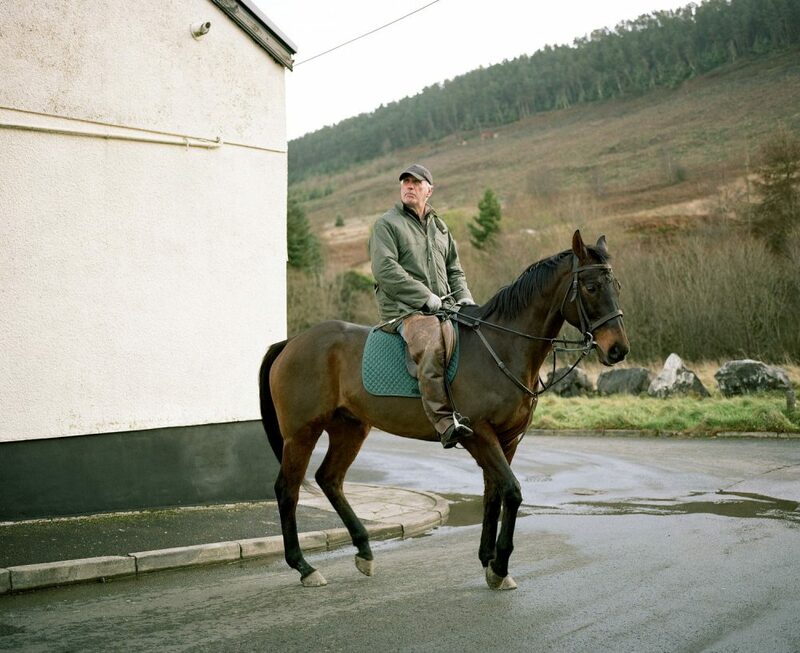 Either way, this personal portrait of Wales captured in Gap in the Hedge is a exploration and embrace of both cultural and personal identity. Cary Benbow (CB): Let’s talk about why you started this project. I understand from your project statement, this project is an exploration of nostalgia, but the idea of kinship also seems to be a strong thread that runs between Gap in the Hedge and Suicide Machine. Dan Wood (DW): I started this project as I’d finished my last, Suicide Machine, a few months previous. I always feel quite lost and discontented when I’m not working on a project so I guess that it was time to find and start a new one, which turned out to be Gap in the Hedge. There are differences in the two projects: for a start, with Suicide Machine I was completely familiar with every aspect of that series as it is my hometown I was working on, but Gap in the Hedge was a step into the unknown as I would be making work in an area that I didn’t really know that well. I was keen for an adventure though, and thrived on that right through the process of making the work. The similarities between the two is the fact that ‘family’ is the underlying motivation for the work. In regards to kinship, Gap in the Hedge is ultimately all about it. And although it is based around that road trip with my mother 35 years ago, the main hidden narrative is that I’m the only member of my family not from the ‘other side’ of the pass. This left me with a bit of feeling like an outsider to that place and somewhat separate from my parents and my only older brother. I’ve always felt like they had a previous life without me in an unfamiliar place. Taking my daughter on that same trip is all about connectivity and role reversal. I wanted to feel and see what my mother was experiencing all those years ago; and driving over that pass with my daughter in the front seat did just that. 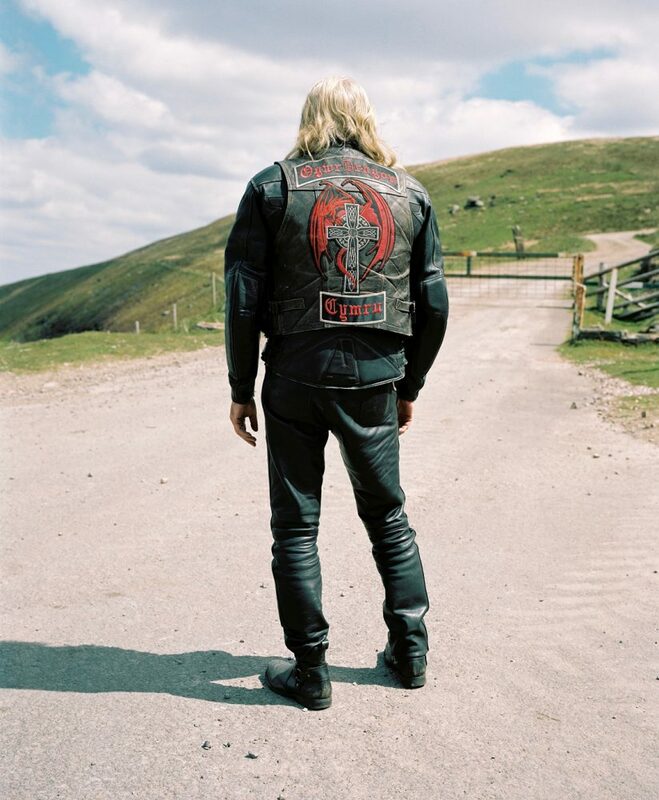 But the broader interpretation suggests connectivity with my fellow Welshmen and finding out what goes on along the pass and the other side of it – again I’m looking for acceptance but this time by a community that I’m not very familiar with. But the common factor and bond that we are all Welsh is probably why I was given such access into their lives. CB: Would you give a sense of how the Welsh translation of ‘Gap in the Hedge’ flavors the project, and the type of influence it may have on viewers of the book? DW: The title in Welsh is Bwlch-y-Clawdd. The correct translation is ‘Gap in the Dyke’, but Clawdd can also mean Embankment or Hedge, so I went with Hedge as it had a better ring to it. Wales is still a relatively unknown place to the outside world, and this bothers me. Everything is always “England”, “Scotland” or “Ireland”. Wales is always left out. I’ve travelled all over the UK and without being biased, I still think Wales is one of the most friendly, diverse, and beautiful places. CB: ‘Gap in the Hedge’ strikes me as being similar thematically to ‘Sleeping by the Mississippi’ by Alec Soth. 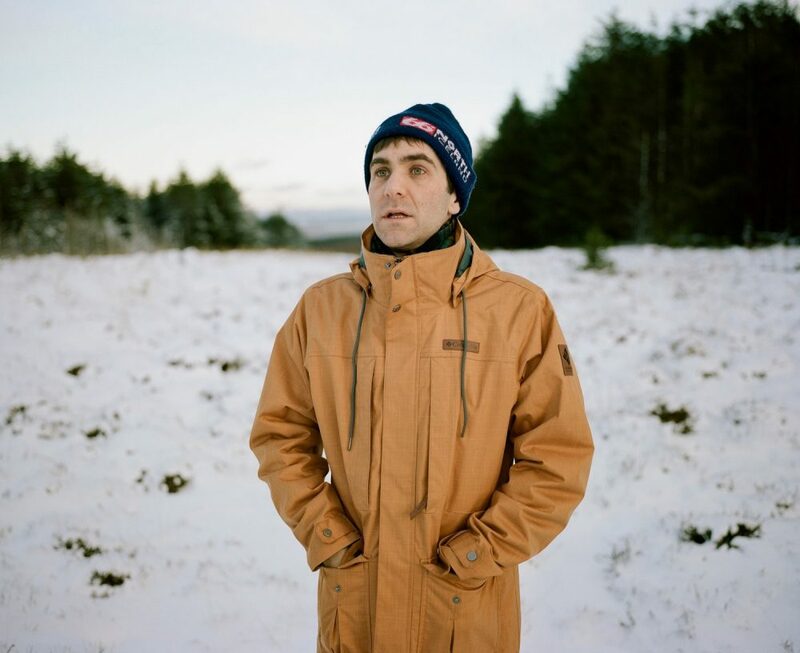 Some of the portraits from your project seem to echo those major themes of using a route/river/road to connect with people along the way and explore the themes or tropes that one finds there. Was this a consideration when making this project? DW: It does follow the classic road trip theme, so I can definitely see your point, but I really didn’t intend the series to be Soth-esq. I like the fact that Gap in the Hedge has highlighted the similarities between certain parts of the U.S and Wales though. I probably am unconsciously influenced by Soth and that’s because he is such a prominent figure within contemporary photography. I genuinely shot the series straight from the heart and this is just how the work turned out. The journey with my mother is the foundation of the series, and that weekly journey had a profound effect on me… and subsequently created my obsession with road trips and travel. She would never stop the car, we would just drive straight through to the destination. 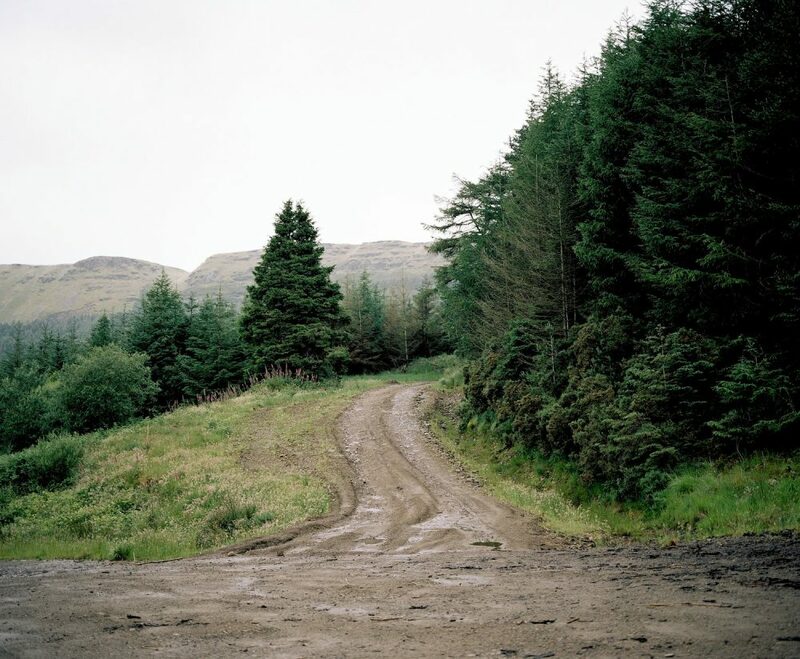 So ultimately, this series is all about ‘getting out of the car’ and looking around to see what was in those forests, what was behind those doors and who were those people? CB: You have this great ability to combine informal portraits of people set in their comfortable surroundings. The resulting image ends up being both a portrait and a landscape of sorts. Would you please speak to this idea as it relates to your work in Gap in the Hedge? DW: I’ve always been a big fan of environmental portraits and that’s probably because most of the time I like to put in a certain amount of information into a picture, it helps tell the story and also helps the viewer make up their own, if they wish to – ambiguity is important too, and I don’t want to give too much away either. With Gap in the Hedge, a lot of the time the location of the portraits would be out of my control – due to the nature of stopping strangers and asking them for a picture – so I’d have to work with whatever there was at the time. 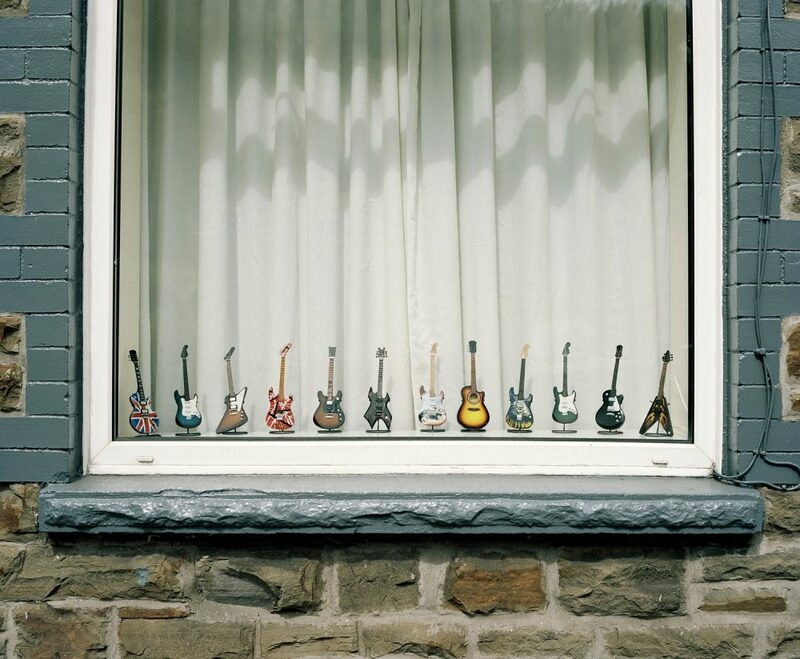 Dan Wood was born in Wales, UK, 1974, He is a self taught documentary photographer that discovered photography in the early 90’s through the skateboard culture. 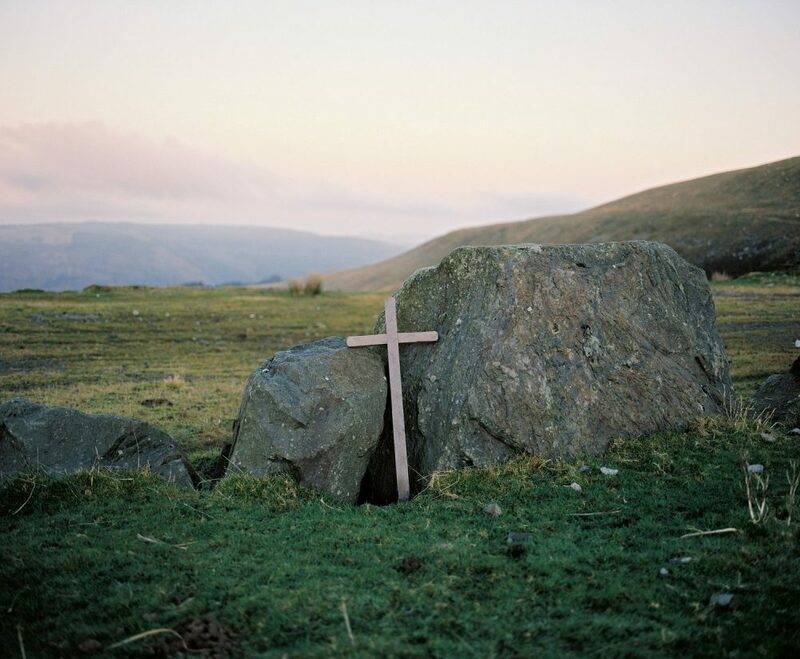 His work mainly focuses on long-term projects that explore Wales and the Welsh; shooting stories in both traditional and contemporary approach. For more about ‘Gap in the Hedge’ and other work by Dan Wood, visit his website. To order a copy of ‘Gap in the Hedge’, or see more titles from Another Place Press, visit Another Place.